In the past few decades adoptive family recruitment methods have evolved significantly. These days families ordering in pizza might receive a pizza box that urges them to consider adoption, drive by billboards that publicize the need for adoptive families, or attend a county fair and be given a key chain with the name and address of a social service agency that recruits adoptive families. Some of these methods (billboards, for example) cast a broad net and inform the general public about adoption; others target a specific group of families (say churchgoers) who are deemed more likely to adopt. Recruitment efforts may reach families who know nothing about adoption as well as those who have contemplated adoption for years and are on the verge of making that first call. U.S. practice, it seems, is moving toward more targeted means of finding families for individual children through child-specific recruitment. One form of child-specific recruitment is photolisting, where agencies place a picture and brief description of the child in books, magazines, newspapers, or on the Internet. The goal is to create a connection between a prospective parent and child, motivate the parent to learn more about the child, and ultimately, adopt. Photolisting, particularly as used on the Internet, has dramatically increased outreach to prospective adopters. It has also brought to the forefront a number of issues with ethical implications that need to be considered for all forms of child-specific recruitment. 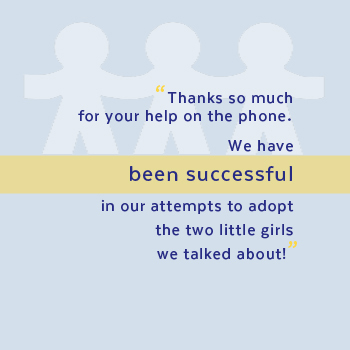 It may seem like a dream come true to have a flood of phone calls from prospective adopters responding to child-specific recruitment efforts. Too often, however, caseworkers become overwhelmed by the volume of calls. Workers also report how stressful it is to tell families intrigued by a specific child’s photo or description that the child is no longer available and then be accused of “baiting and switching”-luring families in with pictures and profiles of well-functioning children only to offer them children with serious disabilities. These responses, however, are not the best solutions to challenges inherent in child-specific recruitment. To effectively implement photolistings and other child-specific recruitment strategies, agencies and caseworkers need to keep a few practice and ethical principles in mind. In child-specific recruitment, workers should share information with families along a continuum. Ethical adoptive family recruitment requires that knowledge about a child be shared along a continuum that begins with an initial introduction with limited information, and continues through full disclosure of all obtainable, material information before the family’s final decision to adopt. As a starting point, the principle of information sharing along the continuum means that highly negative detail about a child is not appropriate. When public venues such as newspapers and the Internet are used, respect for the child’s privacy dictates that only limited sharing is proper. Because the general public, the child’s school friends, and even the child can view such information, care must be taken to introduce the child in a manner that conveys her uniqueness without divulging personal facts that could subject her to shame or ridicule. A child might be photographed in his wheelchair, for example, but the description should focus on his favorite class at school, why he wants a dog, and his hopes for the future-details that highlight who he is as a person. After families begin to work with an agency, workers should share greater detail about the child as, in a mutual process, prospective adoptive parents share more information about themselves. 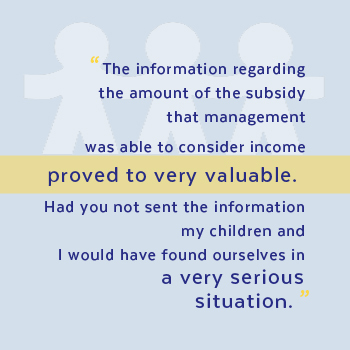 When families place the initial call about adoption in general or to inquire about a specific child, information sharing should start to deepen but remain fairly general. Caseworkers, for example, should ask families what drew them to a child or to the idea of adoption, and begin to educate them about how abuse and neglect can affect child development. 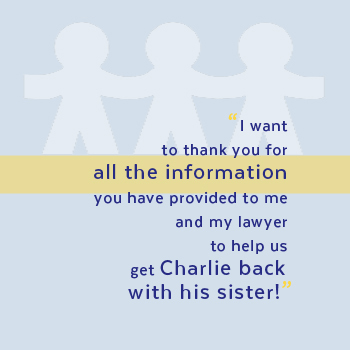 As families become more engaged in the process, caseworkers should tell them more about the child, including details about the child’s background and challenges. This information can help families to determine if they are a good fit for the child. Shannon tested positive for drugs at birth. This means her birth mother was using drugs shortly before delivery. Many recent studies have shown that lasting effects of drug use on child development are not as severe as once thought, but a drug screen at birth cannot tell us if drugs were used in the first trimester when important brain development occurs. Here is some literature on prenatal drug exposure to read. You may also want to talk to a pediatrician with expertise in this area. In the early intervention evaluation, Shannon showed a 25 percent delay in her motor development but was right on target socially. Here is a copy of her evaluation. Ethical adoptive family recruitment also dictates that families be educated-through chances to talk with caseworkers, read materials, speak with experts who can interpret background information, and meet with families who have adopted children with similar challenges-so they understand the real life implications of past experiences and current needs. In addition, ethical practice demands that children for whom an adoptive family has not been identified be photolisted and that children for whom adoptive families have been identified not be photolisted. It is unacceptable to fail to recruit families for children who are subjectively determined to be “unadoptable” due to assumptions about the impact of a child’s age, the severity of a child’s disabilities, or other factors. At the same time, efforts to find a “better” family when a qualified family has already expressed interest in a child are reprehensible. Such practices delay children’s adoptions and consume precious resources that should be dedicated to finding families for children who need them. Ethical adoptive family recruitment necessitates prompt courteous responses to prospective adoptive families who summon the courage to make the initial telephone call. During business hours, people-not voice mail-should answer families’ calls. E-mails and telephone messages should be promptly returned. Those who take calls should be prepared to answer families’ questions knowledgeably. Ideally, prospective adoptive families should be able to talk to individuals who have themselves adopted-such as volunteer parents. 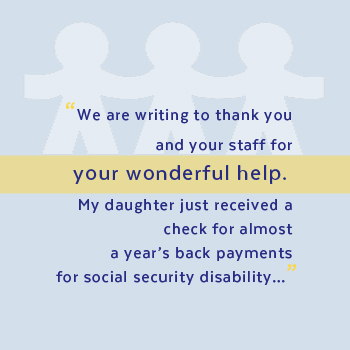 As the Child Welfare League of America makes clear, the most effective recruitment plans involve caseworkers working in concert with experienced adoptive families. Materials provided to prospective families must be easy to read, nicely printed, and promptly offered to parents with guidance as to how they can obtain additional information. To ensure that the response system is working well, agencies should routinely have one or two staff call anonymously and test the system. Who answers the call? Are messages returned promptly? How are calls handled if the prospective adoptive parents do not speak English well or do not come across as very educated? Can the employee or volunteer answer questions about adoption, including those about the application process, home studies, training, and certification? How long does it take for materials to arrive? Does the process feel inclusive, supporting families who want to adopt, or exclusionary, as if the agency is trying to screen out prospective families? An important element of ethical adoptive family recruitment is that families are encouraged to select a child for themselves. The more involved prospective adopters are in the process, the more committed they will be to the child once they determine that their family and the child are right for one another. This principle lies at the heart of child-specific recruitment-a recruitment method that personalizes children who need families, recognizes that families are in the best position to know which children will fit best in their families, and allows families to take ownership of the process. Empowering prospective adoptive parents can be compared to empowering a high school senior to select a college. A counselor may thoughtfully select a college for a student, but the best fit will be made when the student considers what she wants in a college, researches the options, and makes her own choice, with the guidance of adults who may be knowledgeable but will not actually attend the college. Where has the child been placed and for how long? What happened to the child’s birth parents? Does the child have siblings in foster care or siblings who remain with their birth parents? Does the child have any special needs that require special educational, medical, or therapeutic interventions? 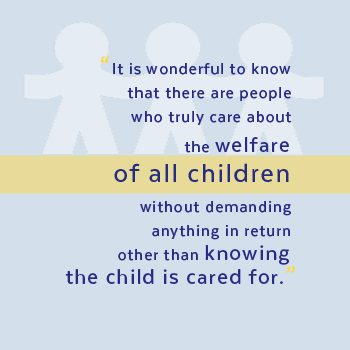 Can I speak with someone who is currently caring for or who has cared for the child? Agencies have developed creative family recruitment strategies. In addition, the Collaboration to AdoptUSKids has developed and now maintains a national web site that features waiting children, and will soon launch a major advertising campaign that will bring even more prospective adoptive families to agencies. The response that these families receive will influence whether they proceed with the arduous but thrilling process of adopting. Recruitment sets the stage for the entire adoption process. It can be enriched by implementing ethical practices that put an information-sharing process into motion, providing prospective adoptive parents with increasingly detailed information as they move forward; that ensures prompt, courteous, informative responses to initial inquiries and to prospective adoptive parents’ needs throughout the process; and that empowers prospective adoptive parents to be the “experts” on their families. 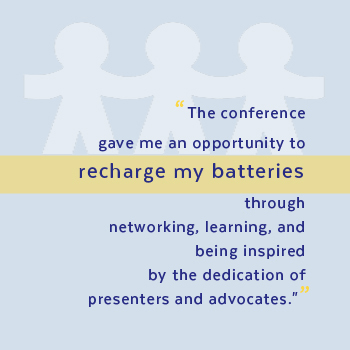 Source: by Madelyn Freundlich, Excal Consulting Partners, LLC, and Sarah Gerstenzang, AFFCNY Executive Director. Reprinted with permission of the authors.